The whale tail is placed on the grounds of a home where the annual mating of whales may be viewed. 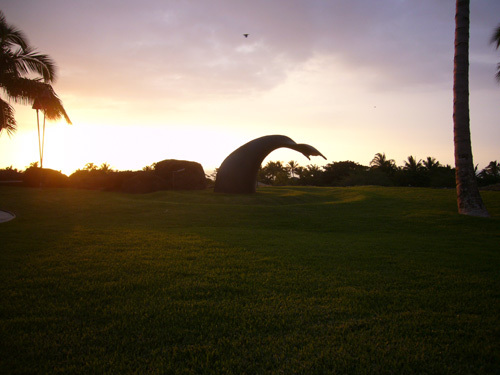 Located alongside a swimming pool constructed of black lava rocks, the artwork is enjoyed by family members and guests. A bubbling water feature within the pool alludes to the imagined presence of whales swimming under water. 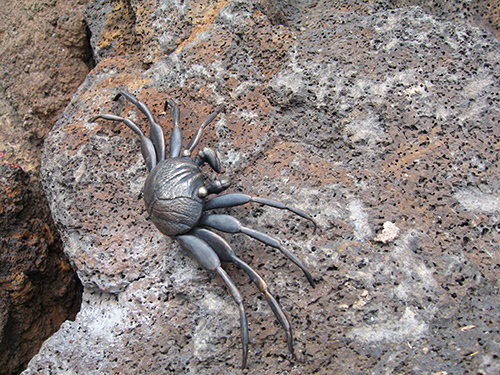 Bronze sculptures of a’ama crabs, a species of fast fleeting creatures common to Hawaiian beaches, “scamper” along poolside lava rocks. A’ama crabs are Hawaiian symbols for persistence. 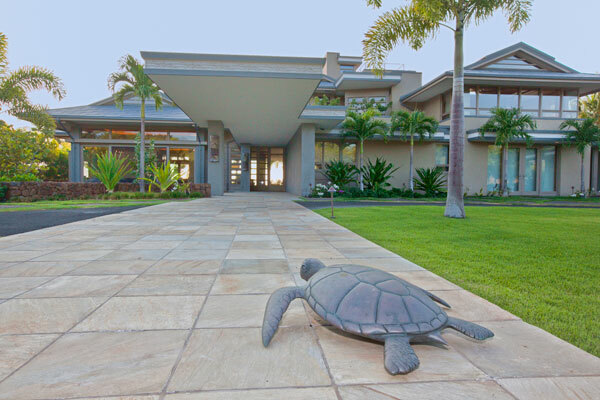 A bronze turtle welcomes visitors in the entry garden.